Hi! 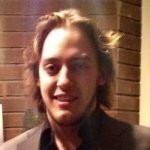 My name is Josh Parsons, I am a graduate of the Musical Recording Arts collaborative program at Western University and Fanshawe College (April 2018). My schooling has provided me with a thorough understanding of audio recording, including courses focused on audio editing, mixing, mastering, and sound design. I offer a wide range of skills including eight years of experience using various audio production programs including ProTools, Logix Pro, Ableton, and FL Studio, as well as using proper microphone selection to capture high quality audio in both studio and field sessions. I am experienced in recording voice for dialogue and music, creating and recording samples for sound effects, and composing/producing music. In addition to production skills, I am experienced in live sound systems and audio/visual set-up/takedown. In my spare time I enjoy playing sports and hiking, as well as reading and making music.